Posted on 12/15/2017 How Do I Pick the Right Massachusetts Bankruptcy Attorney? Posted on 09/29/2017 How Do Chapter 7 and Chapter 13 Bankruptcies Differ? Consumers can often be frustrated when it comes to finding the right attorney. It’s easy to see why - there are lots of attorneys out there, and lots of websites claiming to have the best attorney directories. There’s of course Google, but also Avvo, Yelp, Superlawyers, Lawyers.com, the phonebook, bar association referrals, and so many more. It can leave your head spinning. The right attorney can often make or break your case. But what qualifications make the "right" attorney for you? There's no right or wrong answer here - it can often depend on many factors. At Brine Consumer Law, we understand that just like any other office, we're not the right fit for everyone. There are lots of factors that will go into your decision-making process. To help you on your journey, here are Attorney Brine's Top Five tips for anyone seeking a bankruptcy/debt attorney. We’re Aggressive! Stop Debt Collections Today! Experienced! Free Consultation! What do these slogans really say? Can you determine any difference between attorneys using this kind of marketing? I can't. 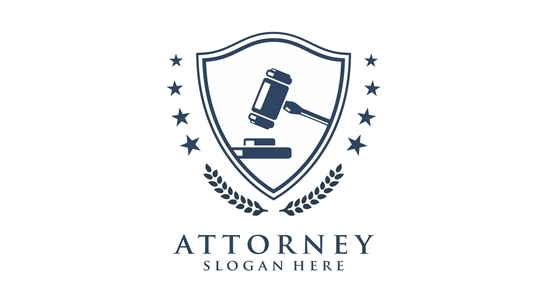 These types of generic slogans give you no ability to compare one attorney from another. As a side note, I would also hope that any of these things are true for any attorney you contact – they should be experienced, aggressive, know how to stop collections, and should offer a free consultation. In my opinion, though, those should really be the lowest of expectations for anybody. Picking the right attorney for you. Admittedly, locating the names of qualified attorneys can be time-consuming. But it is time well-spent. A Google search is a good place to start. You can check out attorney websites to see if they handle cases like yours. You could also ask friends and family for recommendations. Online directories and attorney referral associations can be a bit of a crapshoot, though. These are typically organizations that any attorney can join, regardless of background or experience. Most directories like this will specifically tell you that they can’t actually endorse any of the attorneys in their network. Rather, than are just resources for getting additional names and phone numbers. Once you have a list of qualified attorneys, you’ll want to schedule a meeting with them. Think of it a job interview – and you’re the employer. When employers bring someone in for a job interview, it’s typically because they’ve determined that the person could do the job – but they want to see if it’ll be a good fit. You should do the same. Once you meet with them, you’ll want to choose the attorney who’s right for you. The following tips might be of help in that decision-making process. This probably seems like it should be obvious, but it isn't. If you didn’t feel well, would you go see a doctor who could diagnose the flu, but not pneumonia? If your car wouldn’t start, would go to a mechanic that only knows how to replace car batteries? Both of these examples deal with general issues that might be solved with one of many possible options. The same is true with debt problems. Bankruptcy is only one of many possible solutions. So why, then, would a person with debt problems hire an attorney who only knows about bankruptcy? What if your problem could be resolved without bankruptcy? Or by filing a lawsuit against a debt collect that's violated consumer protection laws. These are options that should also be considered. At Brine Consumer Law, we take pride in exclusively representing people just like you with debt problems, in all types of cases. We take a holistic view to resolving your issue, and don't automatically rule out any options. I get the appeal of those who want to hire their local attorney, who might also handle divorce, wills, car accidents, criminal defense, and anything else that walks in door. But the practice of law is increasingly becoming more specialized, and very few attorneys out there even try to be general practitioners anymore. I can’t speak for anybody else, but I know that I would never be able to master all of those areas of law at once. The way an attorney treated their past clients is likely how they will treat you. Websites like Avvo.com and Google often contain many past client reviews. Read them. At Brine Consumer Law we are particularly proud of our past client reviews, which are accessible at the following links on Avvo and Google. There's no real golden rule here, though. Like any good restaurant, attorneys can sometimes have a bad review or two, which might be due to a variety of reasons. But if there are many bad reviews, then that could be a red flag. Understandably, clients with debt problems often seek to hire the most affordable attorney. But attorney's aren't a dime a dozen, and the saying “you get what you pay for” exists for a reason. I would caution anyone seeking an attorney to not make their hiring decision on price alone, for several reasons. First, if you debt collectors have engaged in illegal collection efforts against you, then you might be entitled to sue them for damages (and attorney's fees would have to be paid by the collector). If this is the case, then price may not be a factor at all, as you wouldn't be required to pay anything out of pocket. Second, any attorney that charges bargain basement prices likely needs the work. It can be a sign that they don’t have any other clients and need your case just to keep the doors open. This attorney might lack the experience and knowledge to determine your best options. Unfortunately, there is not always an automatic right to dismiss a bankruptcy case, so if your attorney provides bad advice, you might suffer significant consequences as a result. Third, most people who seek to hire the cheapest attorney assume that they have an easy case, without any knowledge of what an "easy" case would be. In truth, there are very few "easy" cases out there. Most cases have circumstances that, if not handled correctly, could result in disaster. 5. Know Your Case Strategy. Each case is different, and you and your attorney should work together to both (1) identify potential issues and (2) resolve them as best as possible. This, of course, can't always be done at an initial consultation stage, but when you meet with an attorney, you should get a sense of how they work, what to expect, and at least have an idea of what your overall case strategy will be. At Brine Consumer Law, my office uses a collaborative goals-based approach. In other words, you identify your goals, concerns, and fears from the outset, and then we will discuss all the possible different strategies you can use to address them. We then work together to decide on and implement the strategy that’s the best fit for you. Each attorney will have their own method, which is fine. But you should always know what’s going on in your case, what the next step is, and what the overall goal of this case is. If not, it may be a sign of communication issues, or worse. Are you trying to determine your best options for dealing with unaffordable debt? Fill out the contact form on this page and we will get back to you shortly to discuss your issues and explain how we might be able to help.